The threat of bed bugs in public housing is a great one. With hundreds of public housing authorities throughout the country, each with an ever-changing group of low- or fixed-income residents, bed bugs are a problem that won’t be going away anytime soon. For senior residents or those with health conditions, conventional pesticides are probably not a solution. 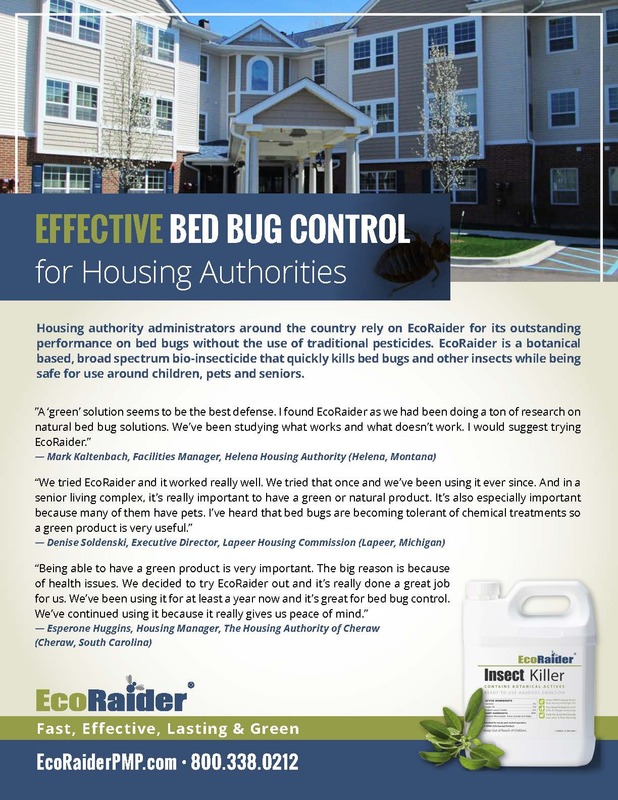 Besides, due to the repeated using of conventional pesticides, bed bugs have developed strong resistance and become “super bugs.” Administrators of housing facilities now rely on EcoRaider for its outstanding performance on bed bugs without the use of pesticides. EcoRaider is a botanical based, broad spectrum bio-insecticide that quickly kills bed bugs and other insects while being safe for use around children, pets, and seniors. EcoRaider Bio-Insecticide has been proven the only natural product that kills bed bugs with 100% efficacy, even outperforming top conventional pesticides. 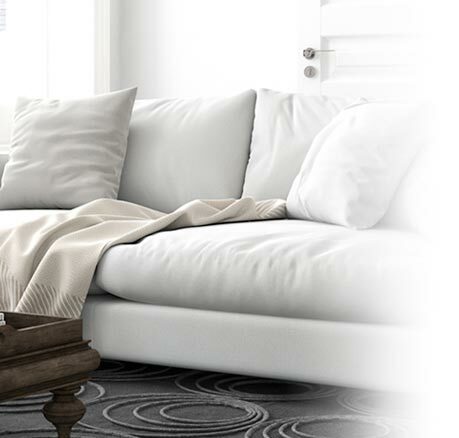 Kill bed bugs by 100% efficacy. Fast kill all stages on contact. Best performance in killing eggs. Is EcoRaider for use only around adults? 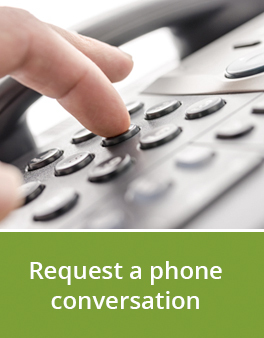 EcoRaider is safe around children, adults and pets. Does the unit need to be vacated before treating? How should EcoRaider be applied? Can EcoRaider be used on mattresses? If you would like to find out how EcoRaider works, please sign up here to receive a free package for test run! 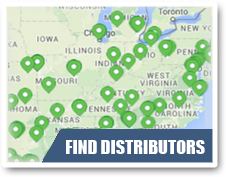 Find the distributors that close to you by zip code or city name.